Hark ‘ere at the all new Nitrocharge boots, which join the f50s, Predators and adiPures as Adidas’ fourth boot line in their current range – specifically designed players with “an engine”: think Dani Alves, Daniele De Rossi and Javi Martinez (who are all signed up to wear the Nitrocharge as and when it rolls out). 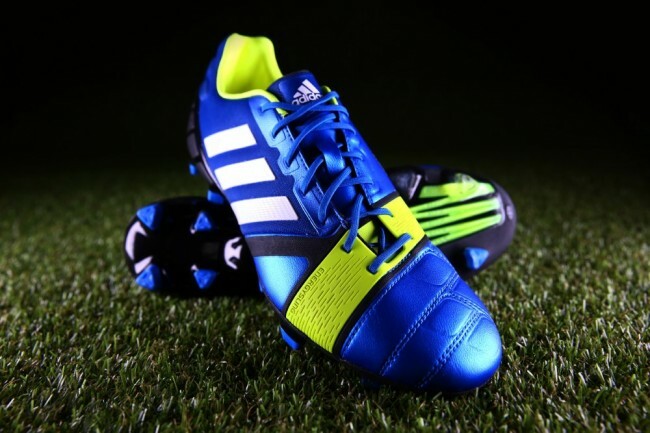 As well as being darn purdy, the Nitrocharge is designed to assist in “off-the-toe sprinting”, with the ENERGYSLING and ENERGYPULSE helping improve the wearer’s turning, reaction and sprinting action. We’re not sure if it’s guaranteed to work on the feet of your average, wildly-hung over, 20-a-day Sunday League clogger, but every little helps, right? Yo Pies, I just thought this guy could do with a bit of an honourable mention for this interview he gave after his last ever Bundesliga match.